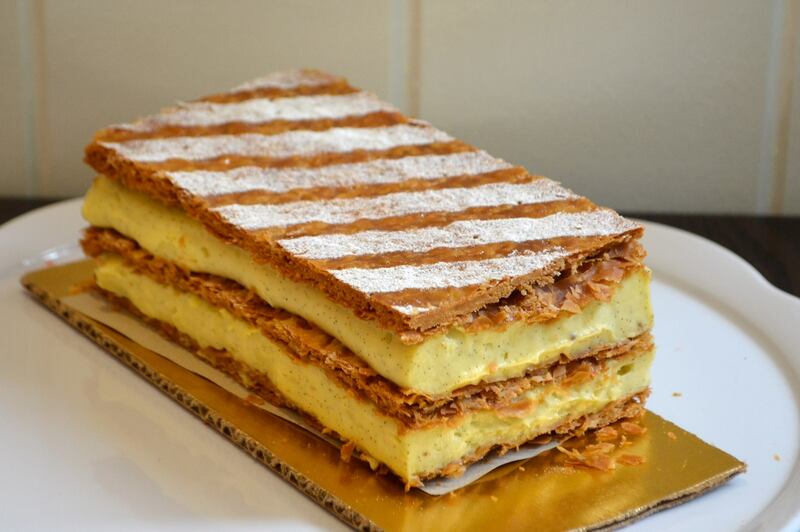 You of course know that Mille Feuille is French for what we call the Napoleon–a many layered confection of puff pastry and creme patissiere with just a tad of powdered sugar or icing on the top–that many of us are addicted to. 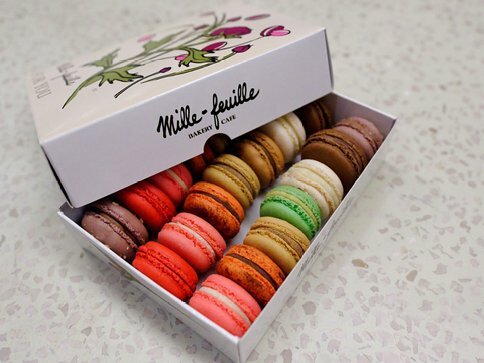 Ever since the late lamented Dumas Patisserie on Madison Avenue closed (come to think of it, and I often do, that was probably 20 years ago), I have been in search of a proper napoleon or mille feuille. Now that the Upper West Side’s 30-year resident, Soutine, also closed, I had despaired of finding it. In fact, they were sold out of vanilla today but they had the napoleon cake and I could see it was the real thing. We consoled ourselves with an innocent-looking full-butter lemon pound cake with small globules of lemon curd in it, not to be believed, which could not be consumed in one sitting. 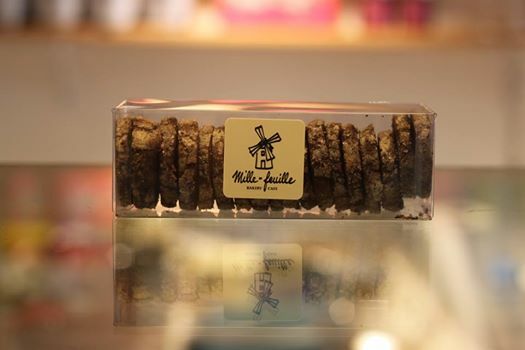 We also purchased a small box of intensely dark Black Diamond cookies made with Valrhona chocolate (yes, Virginia, there is a difference) with a slightly salty edge. If you can eat more than two of these at a time, you have my respect and admiration. The ever-present macarons are there in lovely colors and flavors and although not my favorite, they looked very very good. 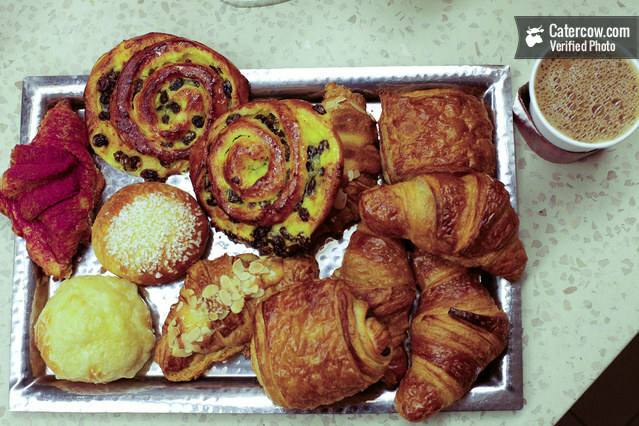 According to its website, the owner-baker, Olivier Dessyn, studied in France with the “greatest French pastry chefs such as Camille Lesecq (best pastry chef of the year 2010) at the glamorous Meurice Hotel in Paris and Pierre Hermé bakery (rue Vaugirard, Paris) renowned for his macarons” and moved here because–I am convinced–he knew we needed him. 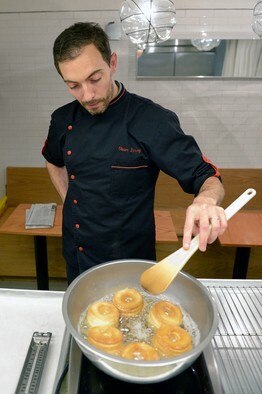 (www.wsj.online.com) He uses only “authentic and natural ingredients” and will also be providing us with freshly baked baguettes. 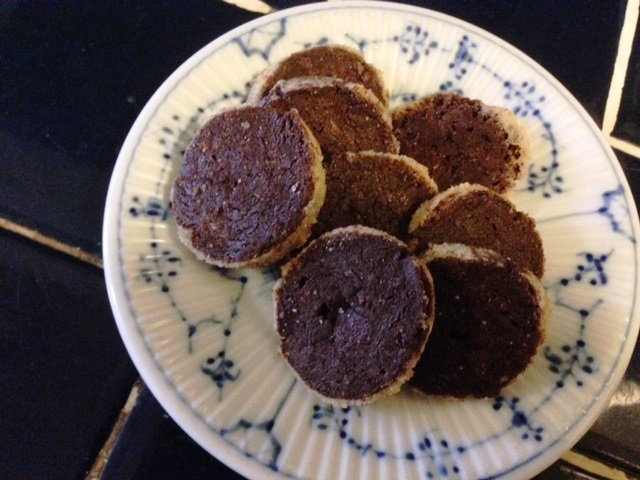 Yes, I know I can get them from Zabar’s and believe me, no one appreciates Zabar’s more than I do, but who wouldn’t want a taste of France nearby? 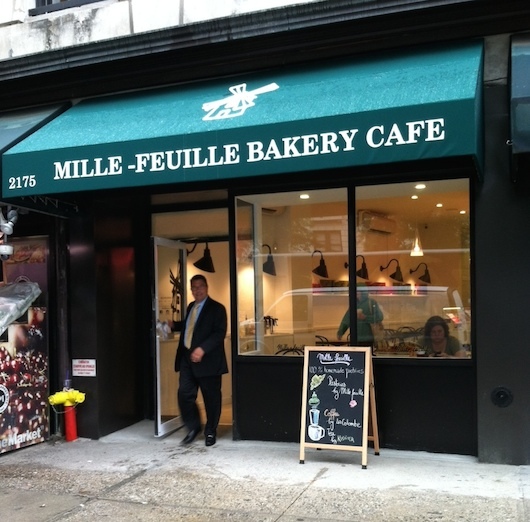 Mille Feuille is in Big Nick’s old spot on Broadway near 74th Street. They have a bunch of little tables and I strongly recommend going there prepared to eat. The prices are pretty reasonable. ← The Monuments Men–Book Versus Movie–And the Winner is…..?